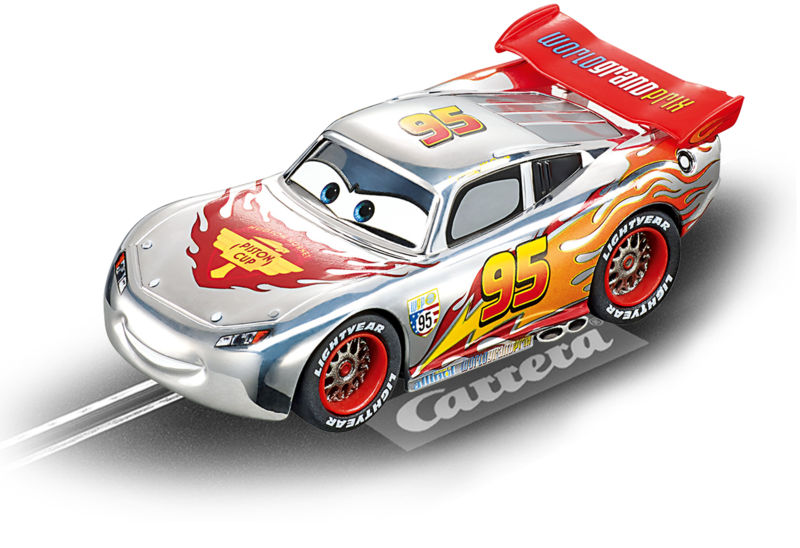 Francesco Bernoulli's Formula race car faces the challenge of the first World Grand Prix in the Disney PIXAR film Cars and is pitted against Lightning McQueen for spectacular motor racing action. Look forward to first class excitement, action and plenty of fun and laughter, too. When the action becomes intense - fairness always wins through. Regardless of who prevails, the fun factor is the biggest prize on offer. The silver version of this car looks fantastic when the picture of the winner crossing the finishing line beams from the sports pages. The 1:43 scale Carrera GO!!! Silver Francesco Bernoulli slotcar wins new fans everywhere with top quality authentic details. This Carrera car provides a perfect introduction to the Carrera racing world for children of 6 years and up.